There are approximately 640 million surface acres of federally owned land in the United States. This book introduces some of the broad themes and issues Congress has considered with addressing federal land policy and resource management, including questions about the extent and location of the federal estate. Additionally, most federal lands and waters are open to hunting and/or fishing. The second chapter provides an overview of issues related to hunting and fishing on federal lands. Congress addresses these issues through oversight, legislation and appropriations, which target issues such as access to federal lands and waters for sportperson activities, and striking the right balance among hunting and fishing and other recreational, commercial, scientific and conversation uses. The third and fourth chapters examine the controversies regarding management of existing wilderness areas which have also been the subject of legislation. Congress has also directed that the federal government is responsible for managing wildfires that begin on federal lands, such as national parks or national forests. States are responsible for managing wildfires that originate on all other lands. Wildlife spending is currently subject to procedural and budgetary control which the 115th Congress addresses in this book. The last chapter is a report on the variety of national monument issues that Congress continues to face. From 1906 to date, Presidents have established 157 monuments and also enlarged, diminished or otherwise modified previously proclaimed monuments through a total of 259 proclamations. 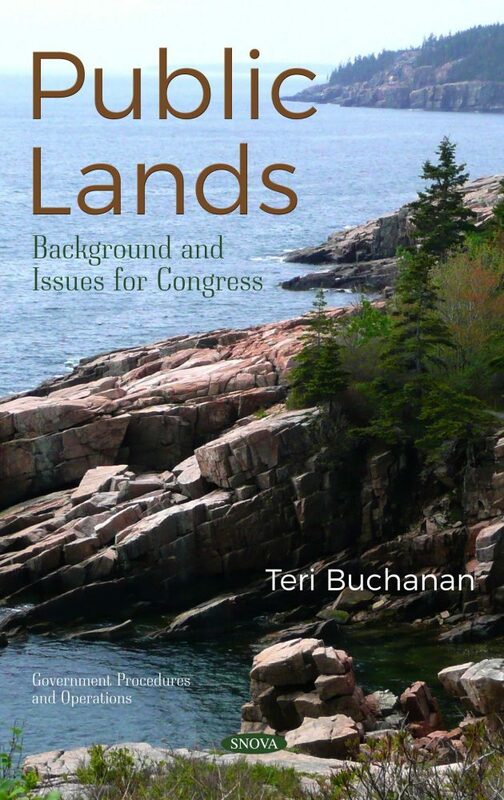 Congress continues to face a variety of national monument issues, many of which are explored within this book.